Saskatoon's LGBT community has deep roots. Though the Aboriginal people who have lived here for thousands of years have historically valued their two-spirited members, LGBT life as we know it today emerged slowly in the 20th century. It remained largely hidden at first - though as long as a century ago, a University of Saskatchewan student named Nan McKay was photographed kissing another woman known only as Hope behind the Saskatchewan Hall residence. McKay went on to lead a full and rich life at the university. By the1970s, Doug Wilson, one of Canada's earliest and most prominent gay rights activists, was publicly fighting for rights of LGBT people. Because of his case, the University of Saskatchewan changed its policy on discrimination against gays and lesbians 15 years ahead of the province. 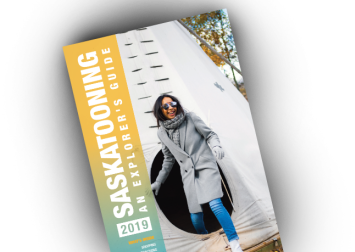 Saskatoon hosted its first national gay conference in 1977, and Perceptions, which began publishing in 1983, is the longest-running LGBT publication in Canada. We are proud to be home today to a strong community - a community that shines every year at Saskatoon Pride.